I'm not sure I could adequately described how funny the look on her face is in the last panel. Even the color drain, intentional or not, is purrfection! 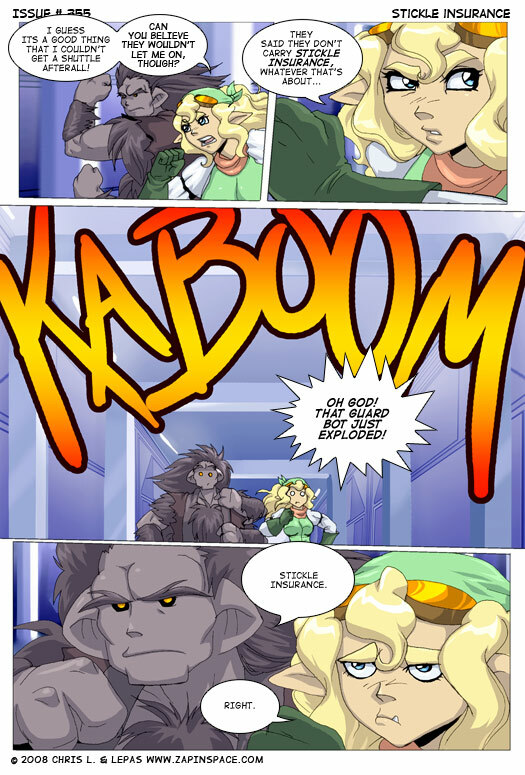 I'm trying to figure out if “fwee” or “kaboom” shows up most in this comic. Stickle Insurance, sure our rates might look high…but one day a Stickle will move in next to you and then you'll be happy you got it.